Hello! I hope you all had a wonderful week! It’s time to link up your favorite posts! You can read and link up at any of our blogs. We will each be featuring one post from the previous week as well as tagging and tweeting you! Be sure to head over to all the hosting blogs to see their featured posts as well. 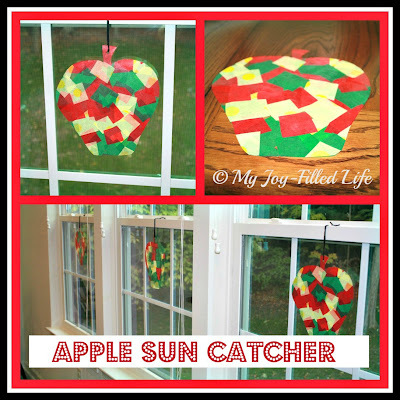 This apple sun catcher craft from My Joy-Filled Life is absolutely adorable! I am filing this one away to do with my kids! If you were Featured this week you have been tagged and or tweeted! 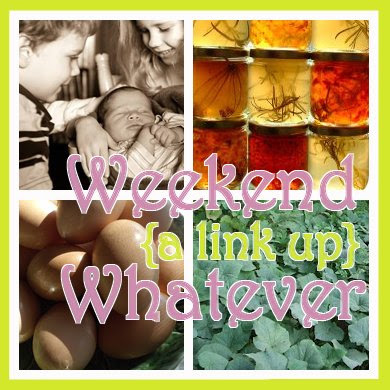 Please do not share other link parties to Weekend Whatever. You may however add them to our growing linky list. 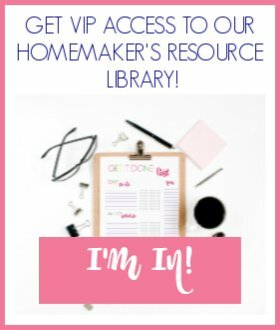 Please link up posts on Marriage, Parenting, Frugality, Homemaking, Homesteading, Crafting, Christianity or whatever else you have been walking through! – keeping in the spirit of transitioning to REAL, WHOLE FOODS. Be sure to grab the button on the side bar and link back here. Please share or tweet this post and visit at least two other blogs. Link the specific post URL only. You may post up to three links per week. At Your Thriving Family we’ve decided to make the “Baby, What I Wish I Knew” series a weekly feature. 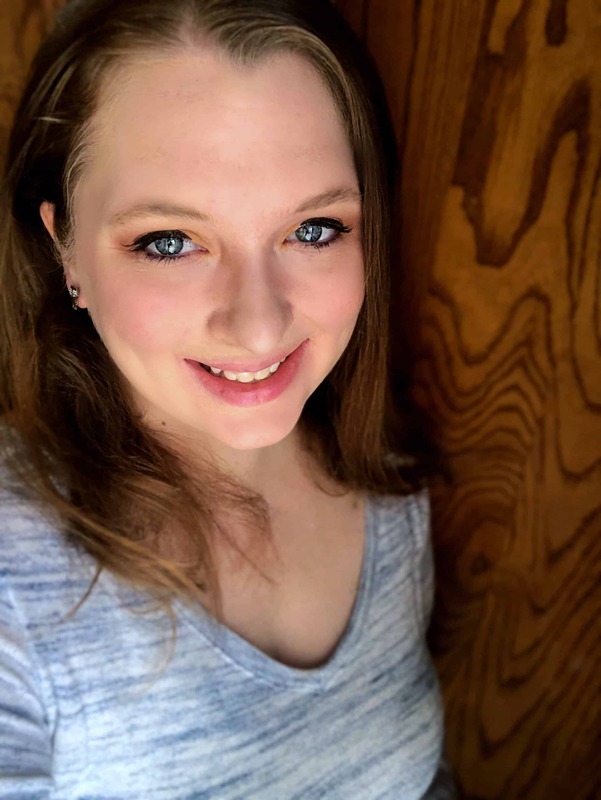 A few ladies and I have also gotten together to bring you monthly featured posts – this month is Little Ones. If you are an iPad or tablet user we have a giveaway for you! I have loved using this in the kitchen for cooking and these last couple weeks I’ve been watching the debates while washing dishes or cooking. At Creative Christian Mama, we’re getting my hubby through the GAPS intro diet, working on prioritizing and planning (and soon we’ll be learning to maintain) a homemaking routine and discovering how delicious and easy homemade applesauce can be! Don’t forget to check out our giveaway for First Bites: How to instill healthy eating habits during your baby’s first year over at Simple Living Mama! It closes at midnight Monday morning! We will also share our pumpkin unit study for preschoolers! We’re hosting a lovely giveaway from author Jennie Bishop (The Princess and the Kiss) over at Whole Intentions. We’re also gearing up for a fantastic opportunity to learn about natural dental care from experts around the world – stay tuned! As always, keep an eye on the specials in the sidebar – there are new coupons, giveaways, and specials listed each week! Thanks so much for featuring my post Joanie!